Rabbi Barry L. Schwartz was ordained at the Hebrew Union College in New York in 1985 and served previous pulpits in Amherst, New York, Chevy Chase, Maryland, and Cherry Hill, New Jersey. He began his career in Israel, as rabbi of the Leo Baeck Education Center in Haifa. Besides serving Congregation Adas Emuno, Rabbi Barry Schwartz is the director of the Jewish Publication Society in Philadelphia, the nation's oldest and best known Jewish publisher. Rabbi Schwartz is a prolific writer, the author of six books, a prize winning short story, and articles that have appeared in the Journal of Reform Judaism, American Jewish History, and the Hebrew Union College Annual. Rabbi Schwartz is the author of Judaism's Great Debates (2012), which was published in both adult and youth editions. His textbook, Jewish Heroes, Jewish Values (1996) is still used in over 300 religious schools nationwide. Jewish Theology: A Comparative Study (1991) explores Jewish denominational thinking. Honi The Circlemaker–EcoFables From Ancient Israel (1993) is a series of folktales for children. In 2018 Rabbi Schwartz published Path of the Prophets: The Ethics-Driven Life as well as a children's book Adam's Animals, that was selected by the PJ Library program to be distributed to 25,000 Jewish children in the US, Canada and the UK. 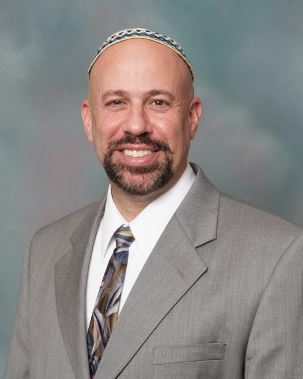 Rabbi Schwartz is an avid hiker, cyclist, and table tennis player. He is married to Deborah A. Schwartz, an occupational therapist specializing in hand rehabilitation. Their three adult children are Nadav, Talia, and Noam. Rabbi Schwartz's sermon, "One Earth", was included in the anthology, Touching the Face of the Cosmos: On the Intersection of Space Travel and Religion, edited by Paul Levinson and Michael Waltemathe, and published by Fordham University Press, and as an ebook by Connected Editions in 2016. The collection also includes an essay entitled, "The Touching Interface of the Cosmos", by Adas Emuno Past President Lance Strate.